The Uttar Pradesh University of Medical Sciences (formerly UP Rural Institute of Medical Sciences & Research) Saifai, Etawah (established by Govt. of Uttar Pradesh under Act,15 of 2016), as a centre of excellence in the field of medical care, education, research and functions as a tertiary care referral hospital. The University has excellent road and railway connectivity, it is located about 5 km from Agra-Lucknow expressway, 15 km from NH-2, and about 20 km from the nearest railway station Etawah Jn. The applications are invited for the post of Staff Nurse. A total of 100 seats are vacant. Important details and information about UPUMS Etawah Staff Nurse 2018 in Uttar Pradesh University of Medical Sciences Etawah. Important Dates for Staff Nurse are listed below. It includes Application form dates, exam date, result date etc. Imortant requirements for UPUMS Etawah Staff Nurse are shared below. It includes Educational Qualification as well as age criteria. Educational qualifications required for the UPUMS Etawah Staff Nurse post-2018 is given below. B.Sc. (Nursing) should be a registered “A” Grade Nurse & Midwife with a State Nursing Council or equivalent qualification for Male Nurses. Uttar Pradesh University of Medical Sciences Etawah has 100 vacancies for the post of staff nurse. Candidates can apply online for this vacancy. Further, Category wise distribution of seats is given below. 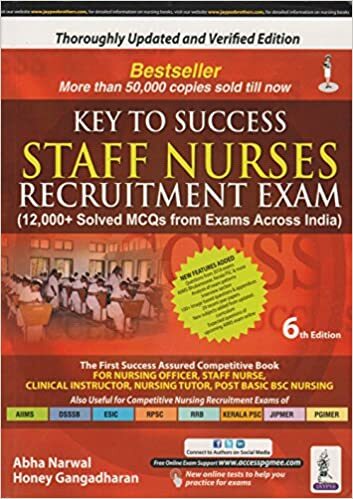 How to apply online for the UPUMS Etawah Staff Nurse 2018? Visit University website: www.upums.ac.in and apply online with the application fee of Rs. 1000/- (for Unreserved & OBC), Rs. 500/- (for SC/ST) and also send the printout hard copy along with self-attested copies of all the required documents by Speed/Registered post/Courier to the University address. All the candidates who are eligible can apply online from the links given below. Below links have all the important information required for this job. UPUMS Etawah Important links, official website, apply online, Login link etc.